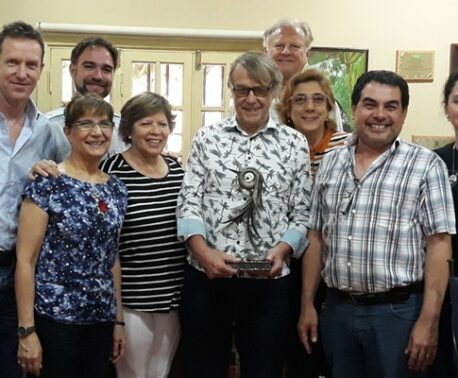 Guyra Paraguay, the World Land Trust's project partner in Paraguay, has been given a piece of land in Mariscal Estigarribia, one of the largest towns in the central Chaco, initiating a project named 'Sustainable Mariscal Estigarribia'. Guyra Paraguay plans to build a small office in the town in order to create an institutional presence in the Chaco – an important step in the management of three protected areas that Guyra, the World Land Trust and the Paraguayan Ministry of the Environment are collectively responsible for under a Tripartite agreement. Mariscal Estigarribia, situated in the Department of Boquerón, is the commercial centre for the surrounding region, with a population of around 7,000. It is a strategically-important area, with its position facilitating access to the National Parks and protected areas in the northern Chaco. It is hoped that this innovative agreement will create employment and build capacity of the local people in education, health, environment and sustainable production. See an interview with Guyra Paraguay's Executive Director, Alberto Yanosky talking about the organisation's conservation work, on YouTube.